So many of us hold off on living in a state of peace, happiness, and fulfillment because we are waiting for it to be the “right time”. We imagine the “right time” to be some sort of physical destination we might be able to reach one day. We trick ourselves into believing that the “right time” is not something that could possibly exist in the present moment. The “right time” has numerous definitions that are constantly changing depending on who is doing the perceiving. For some, it’s getting to a more stable place seven months down the road, when you have seven figures in your bank account, once you have moved to a new city, or after you have received that promotion. But why do we wait for the “right time” to arrive? Why not just allow the time we have now to be the “right time”? Let’s go on an expedition with Franky. Franky is 28 years old and currently works at a developing tech startup that he just received seed funding for. He is quite accomplished in the eyes of many- having a master’s degree as well as a business under his belt- yet his stress levels are raging, and he rarely feels fulfilled. Franky enjoys setting goals and is quite an achiever. However, the “right time” in his eyes always falls somewhere in the area of achieving his goal while working on the next big thing. The way Franky’s mind is set up leaves only a small percentage of his life to be considered that “right time”. The issue with ascribing the “right time” to be some sort of future destination is that it is never promised and sometimes is even impossible to reach. The only moment you are for sure that you can appreciate is the now. A lack of presence and alignment with your inner power will have you living your life delaying the chance to experience fulfillment, gratitude, and abundance. People put off acknowledging their blessings, taking action on their dreams, and appreciating the present moment because they perceive the “right time” to be some distant destination. People fail to recognize that waiting is only stealing precious time that could be experienced in a more lively state. A lack of presence can also lead to anxiety, pessimism, stress, and mental illness. It’s crucial to understand that the “right time” isn’t a place. It’s an attitude of the mind that we can feed anywhere, anytime. 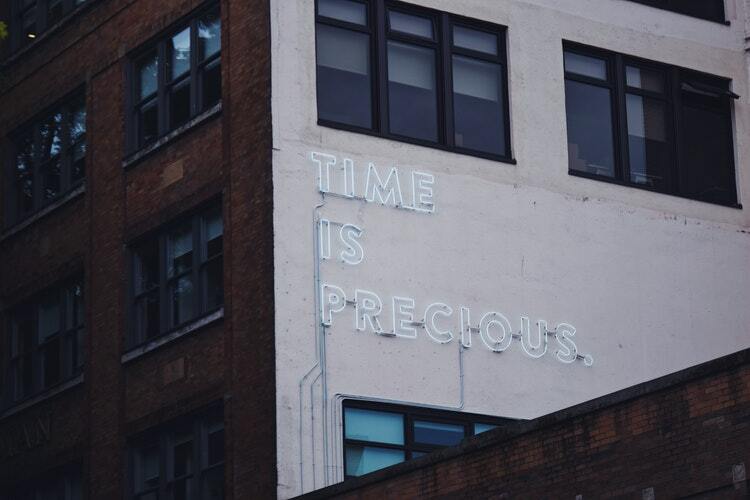 Now is the right time, because it is the only time that currently exists. Even if events in life don’t go as we plan, we can perceive our journey to be one of excitement, obstacles, growth, and peace. We can align with the present moment and allow each day to be one that adds meaning to ourselves and those around us. A lack of presence leads to a lack of meaning, and a life of no meaning is a loss of life. The “right time” doesn’t have to be dependent on outer circumstances but rather inner recognition and acceptance in the present moment being that “right time” we have been striving to find. Marlene Jennings is a certified life coach, author, podcast host, and creative. She has a passion for learning, growing, and bettering the lives of those around her. She continuously strives to find ways to influence younger generations and hopes to use her story and wisdom gained thus far to encourage other young adults to keep striving and accomplishing the unthinkable. Check out Energy Guru the podcast on iTunes and Spotify!